The International Agency for Research on Cancer (IARC), which is the research arm of the World Health Organization (WHO), published a paper of the carcinogenicity of a number of pesticides. Glyphosate was determined to be a “probable carcinogen”, based on “limited evidence” showing that the popular weed killer can cause non-Hodgkin’s lymphoma and lung cancer in humans; along with “convincing evidence” it can also cause cancer in animals. Glyphosate has also been shown to induce DNA and chromosomal damage in human and animal cells in vitro. In recent years numerous studies raising serious questions about the safety of glyphosate have been published. However, the US Environmental Protection Agency (EPA) raised the allowable limits for glyphosate in food in 2013. It’s worth noting glyphosate cannot be washed off once sprayed on a crop. In contrast to the EPA, Canada is going to re-label Roundup. 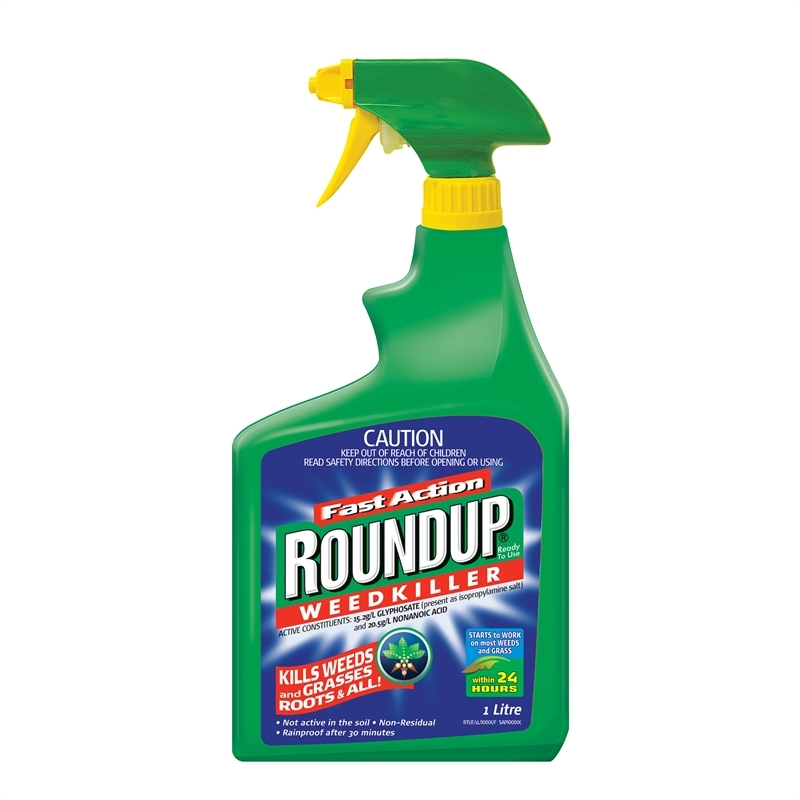 Health Canada recently announced it will update Roundup’s label directions to reduce human and environmental exposure. Roundup Also Promotes Antibiotic-Resistant Bacteria-"Superbugs"
A breakthrough study ties Monsanto’s weed killer to the rising number of antibiotic resistance bacteria. In this first of its kind study, the researchers found that commonly used herbicides promote antibiotic resistance by priming pathogens to more readily become resistant to antibiotics. It’s worth noting that both E. coli and Salmonella are commonly associated with food borne illness outbreaks originating in factory farms where animals are typically fed a diet of genetically engineered corn and soy, which tend to be heavily contaminated with glyphosate. "Researchers are now finding such a strong connection between the body load of these chemicals [contaminating the food supply] and diabetes and obesity that they are being called 'diabetogens' and 'obesogens'." They also point out that our modern food supply (most of which is heavily processed) also hampers your body’s detoxification process as a result of being deficient in key nutrients. Toxic load is closely linked to your diet, as so many of the chemicals we’re exposed to on a daily basis are contaminants in foods and/or its packaging. Non-organic processed foods will expose you to the greatest amounts of chemicals and potential toxins, including pesticides. 1.) Buy organic fruits and vegetables. 2.) Add fermented foods to your diet. The lactic acid bacteria may help your body break down pesticides, so including fermented foods can be a wise strategy to help your body’s natural detoxification processes. Also, make sure you’re getting enough fiber in your diet, as it too plays an important role in detoxification. 3.) Choose seafood wisely. Opt for low-mercury fish varieties, such as wild caught Alaskan salmon, anchovies, and sardines, and avoid farm-raised fish, which are often heavily contaminated with PCBs and mercury. 4.) Filter your tap water. Municipal water supplies can be contaminated with any number of potential toxins, so filtering your water is always a wise idea. Be particularly mindful of avoiding fluoridated water when preparing infant formula. 5.) Avoid plastic food containers, bottles, and mugs. Instead, opt for glass, ceramic, or stainless steel varieties. 6.) Avoid using dangerous chemicals on your lawn. If you have a lawn care service, make sure they’re not using organophosphate pesticides.